all photos © copyright 1997-2011 Mark Hespenheide. 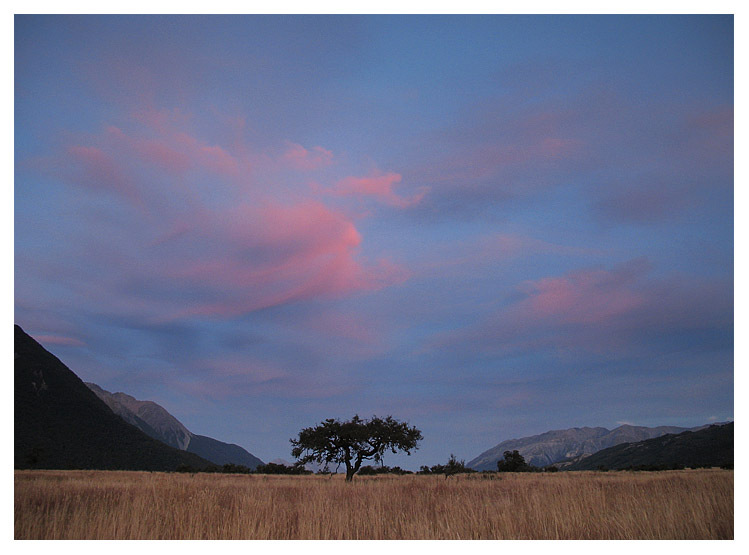 Twilight near the Waimakariri River, Arthur's Pass National Park. All photos in these galleries may be ordered as fine art prints, framed or unframed. Sorry for the evasion, but it helps keep spam away. Text and images at this site and the pages herein are © copyright 1997 to 2011 by Mark A. Hespenheide. Please; this site is intended to inspire your passion for and protection of the natural world, not to use and claim as your own. If you'd like to use one of my pictures, please contact me. If you'd like to use some of my text, please footnote me. Thanks.